Steve is the Mickelson Foundation Professor in the Sanford School of Social and Family Dynamics at Arizona State University. His research focuses on scale development and educational assessment practices with students with disabilities or at risk for educational difficulties. Assessment tools he has developed include the Social Skills Rating System (SSRS), Social Skills Improvement System (SSiS), Academic Competence Evaluation Scales (ACES), and My Instructional Learning Opportunities Guidance System (MyiLOGS). 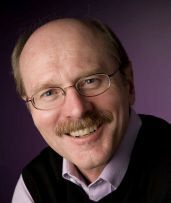 He has published numerous articles, chapters, and books on (a) the assessment of children's social and academic competence, (b) the design and evaluation of methods that increase students’ access to learning and large-scale achievement test, and (c) the assessment of school leadership. Steve is a co-PI of the National Center on Assessment and Accountability for Special Education, a United States Department of Education center.